The sport of cycling is all about change, whether you’re a pro or a Joe. You’re constantly trying to improve, forcing yourself to ride faster, longer, higher than you have before. That’s the theme of the February issue, our first-ever Crossroads Issue. We focus on the riders and races — the very structure of the sport itself — that are currently in a state of flux. 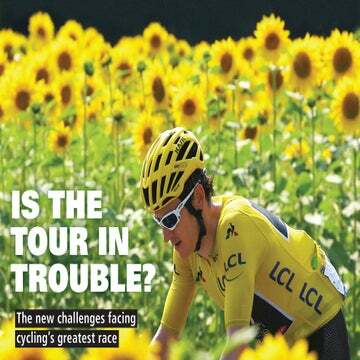 In the weeks before this issue went to press, the sport’s biggest stakeholders assembled in Paris to devise a new structure to the WorldTour, a plan that will drastically change the race calendar, the size of pro teams, and the number of races held. Andrew Hood explores these proposals. Closer to home, the domestic road racing scene is shrinking, as elite amateur teams face sponsorship issues amid the disappearance of high-level national events. It’s a vicious cycle that threatens to cut off the all-important grassroots development of the sport; collegiate racer Max Nagel dives into the reasons behind the exodus. One of the biggest obstacles the sport faces is its lost credibility, due to never-ending doping scandals. 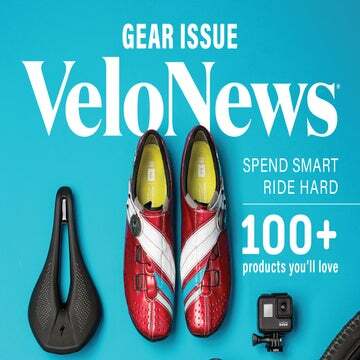 It’s a topic that has been synonymous with pro cycling for decades, but never more so than in the last 10 years, and it’s a topic that overlaps several stories in this issue. Recently, non-sanctioned events have begun taking matters into their own hands, barring any rider who has served a doping suspension from participating. Caley Fretz takes a deep look at the new phenomenon. Later in the issue, Dan Wuori pens a heartfelt letter to UCI president Brian Cookson, asking him to show true leadership in the wake of Astana’s controversial WorldTour license decision. While the sport looks to find its way forward, American Taylor Phinney looks to find his way back from a catastrophic injury sustained at the 2014 U.S. national road championships over Memorial Day weekend. Two days after winning the national time trial championship, the BMC Racing rider crashed heavily, snapping his leg and severing his patella tendon. Back home in Boulder, Colorado, Phinney embarked on a heavy regimen of physical therapy, and our photo director, Brad Kaminski, was there to document it for a powerful photo essay. Another rider whose career is at an intersection is American Chris Horner. The winner of the Vuelta a España just 15 months ago, Horner is now back in the U.S. with Airgas-Safeway, slated to compete at the same domestic events he dominated a decade ago. Yet rather than a hero’s welcome home, Horner’s return is clouded in suspicion over doping accusations that persist, even in the absence of a positive drug test. Neal Rogers explores that issue. On the other side of the age — and career — spectrum is enigmatic Australian Lachlan Morton, our cover selection this month. An immensely talented climber, Morton walked away from a WorldTour contract with Garmin-Sharp at age 22, disenchanted with life in the European peloton. He didn’t turn his back from cycling, however; instead he rode deep into the heart of the Australian Outback, along with his older brother Gus, to reignite the passion that molded them both into professional racers. The Morton brothers will return to pro racing in 2015 with Jelly Belly, and will likely be battling with Horner on the most demanding climbs in North America. Chris Case reports on their journey. 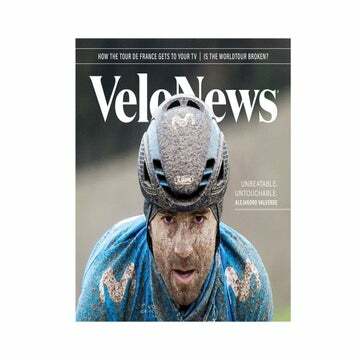 All that and much more in the February issue of Velo, on newsstands now.